Patricia Moste is well respected in the residential home financing world. She has a heart-felt passion for helping families fulfill the American Dream of homeownership and improving their financial position through the acquisition of real estate. Born and raised here in South Florida, Patricia has seen the ups and downs of our unique South Florida market and has aligned herself with like-minded top real estate professionals in our area to assure that her clients receive nothing short of stellar service in all aspects of their real estate experience.Rest assured, when you are a client of Patricia’s, you are family. She provides each unique client with her honest, caring and attentive service, creating a referable experience. It is this sincere service that has built her loyal client base. 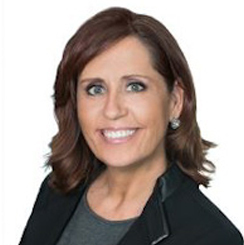 Whether you are a first-time homebuyer, a growing family up-sizing, empty-nesters down-sizing, or an investor looking to add to their Real Estate portfolio, Patricia has a full-working knowledge and expertise of a vast number of programs to fit most loan scenarios and can assist with any of your home financing needs. Patricia is an invaluable partner to your homebuying experience.